In 1942 Jewish communities throughout Czechoslovakia sent their Torahs to the Central Jewish Museum in Prague for safe keeping. They were painstakingly catalogued and packed away and, amid the chaos and destruction of the war, ultimately forgotten. In 1963, a London art dealer was approached by the Czechoslovakian government to purchase these forgotten Torahs. 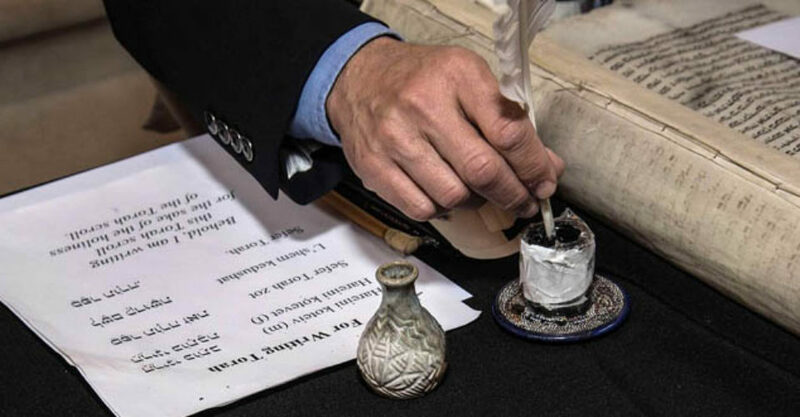 In 1964 the Westminster Synagogue raised funds to purchase the 1,564 scrolls and have them transported to London.The synagogue established the Memorial Scrolls Trust to oversee their preservation. 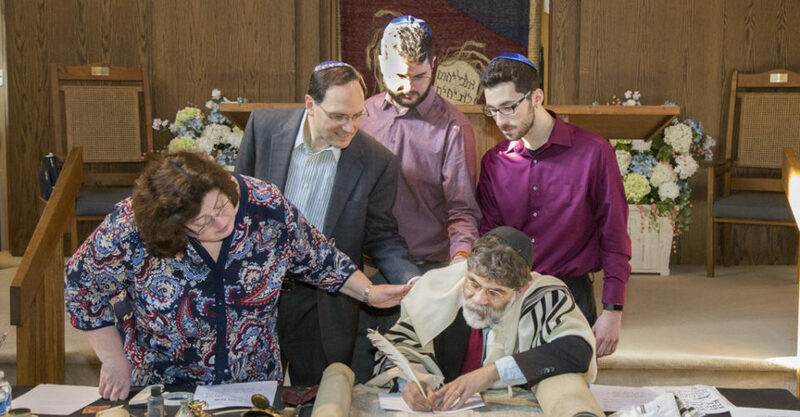 The Trust has distributed the Torahs worldwide to synagogues and other institutions that have agreed to assume the responsibility of caring for them. 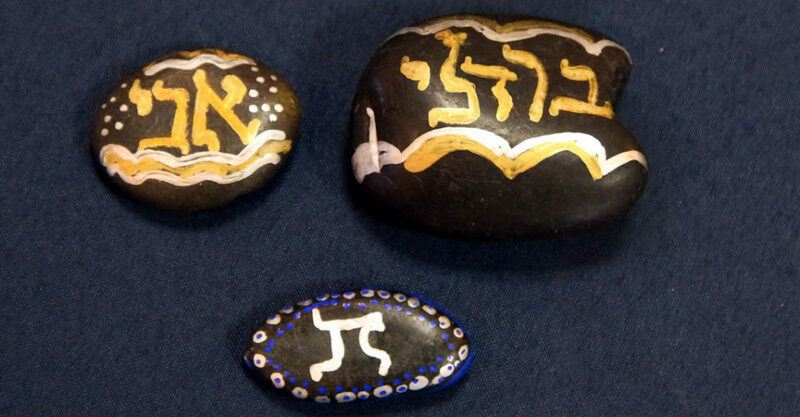 FVJC-Emek Shalom is privileged to be the caretaker of two Czech scrolls. Scroll #1412, from Ostrava, Czechoslovakia has been on display in our synagogue since 1996. It is damaged beyond repair; It cannot be used during worship. Scroll #752 came to FVJC in 1973. It is one of three Torahs in the United States from the Klaus Synagogue in Prague. It was scribed in the mid 1700s and contains a unique blend of Ashkenazi, Sephardi and Kabbalistic letters. 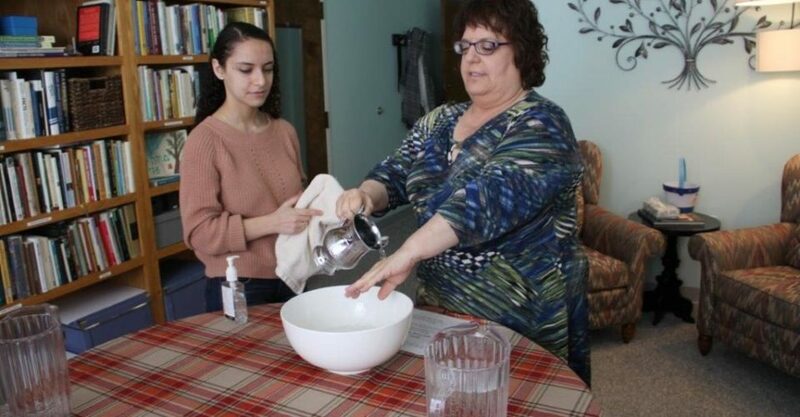 Until recently #752 was used during b’nai mitzvot and other simchas at FVJC. The expected wear and tear has taken its toll. Fortunately it can be repaired. Ripped seams will be stitched, the pages will be cleaned and faded letters will be rewritten. 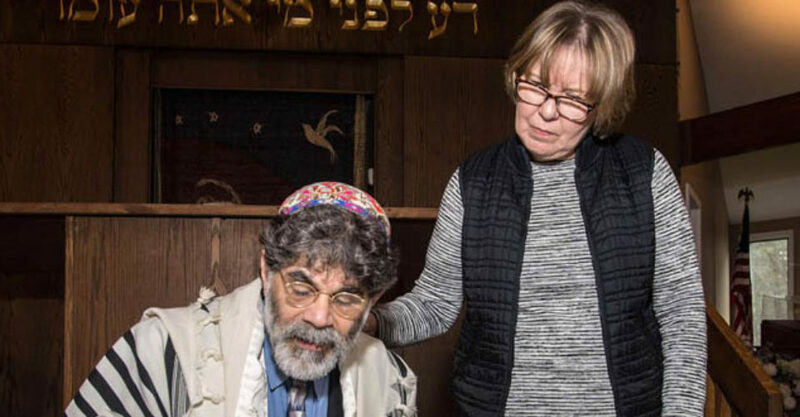 The Czech scrolls are a reminder of a community now destroyed, a moving testimony to Jewish resistance and a remarkable tribute to the Jewish ability to revive and regenerate. 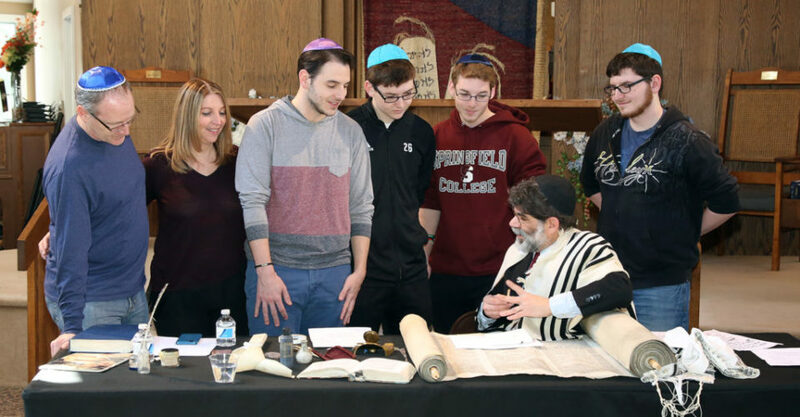 Rabbi Kevin Hale is a trained sofer STaM. 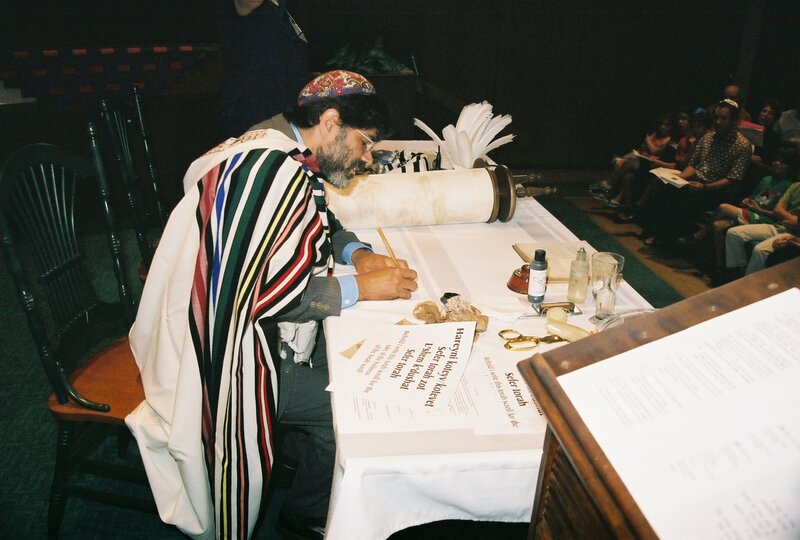 He is one of nine scribes in the United Sates certified by the Memorial Scrolls Trust to work on the Czech Torahs. 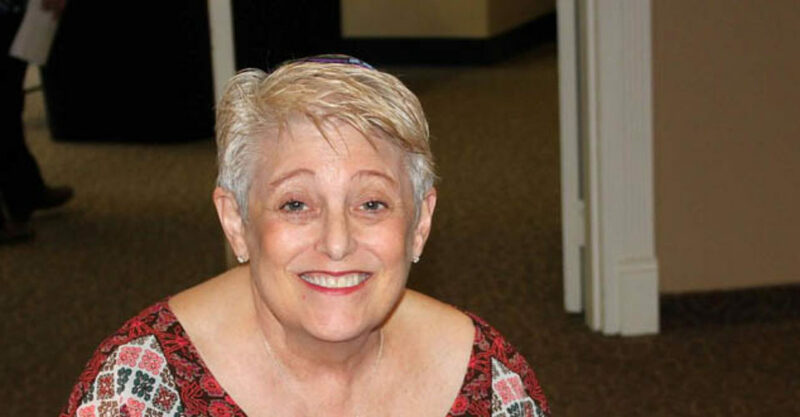 Rabbi Hale’s religious life and teachings have been influenced by all branches of Judaism. 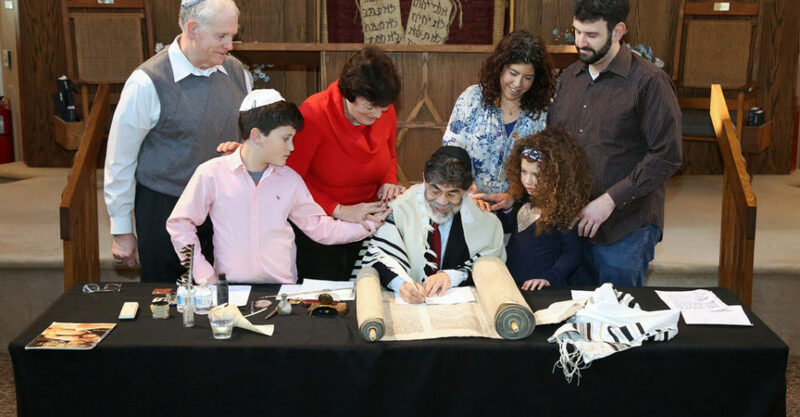 As a former congregational rabbi, an educator, and scribe, he is committed to “hands-on Judaism”. 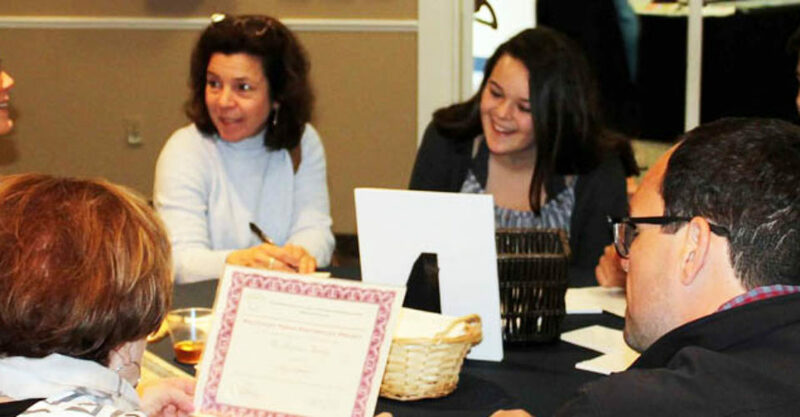 Rabbi Hale loves engaging others in the 613th mitzvah to: “write this song for yourselves”. 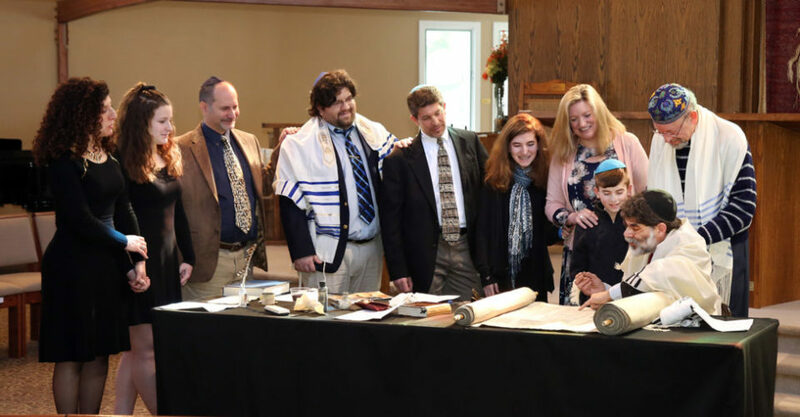 What is the year of the Torah? FVJC – Emek Shalom is dedicating 2017/2018 as the year of the Torah. 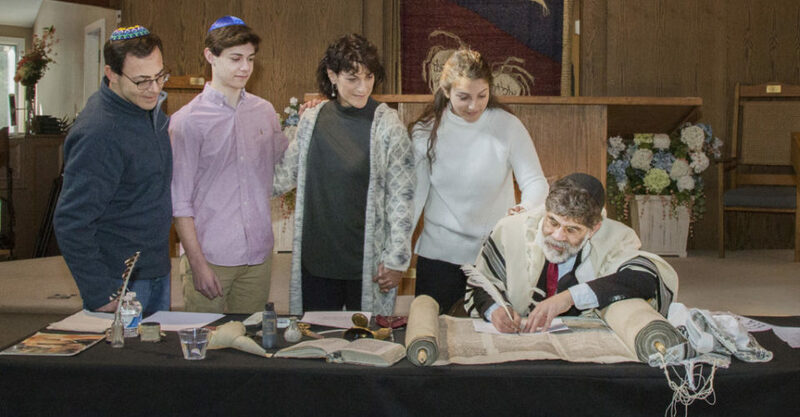 Beginning on Simchat Torah 5778 we have embarked on a program of fundraising, education, and social events supporting our commitment to the restoration of our Czech Torah. 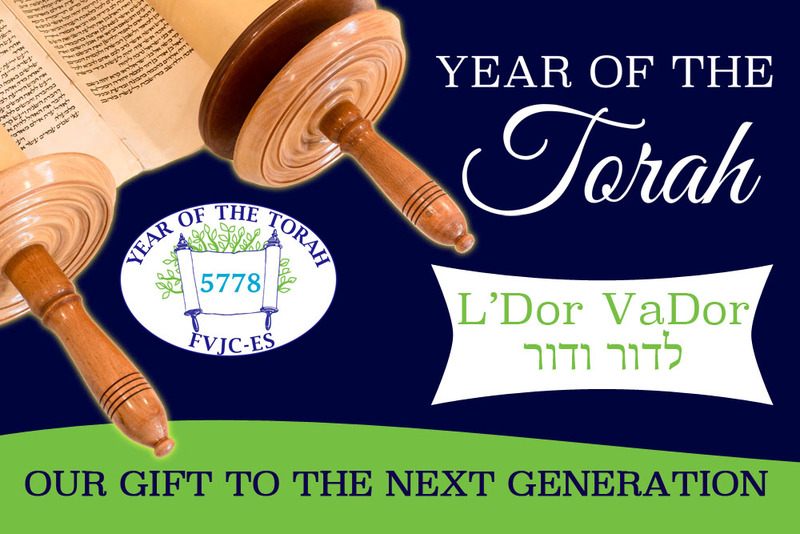 The year will culminate during Simchat Torah 5579 with a rededication of scroll #752.